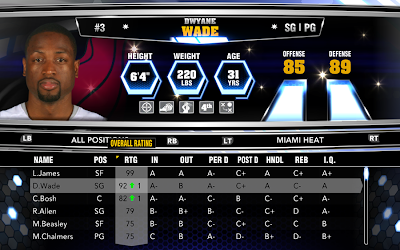 The November 30th roster update for NBA 2K14 current-gen (or should I say last gen?) is now available for download. 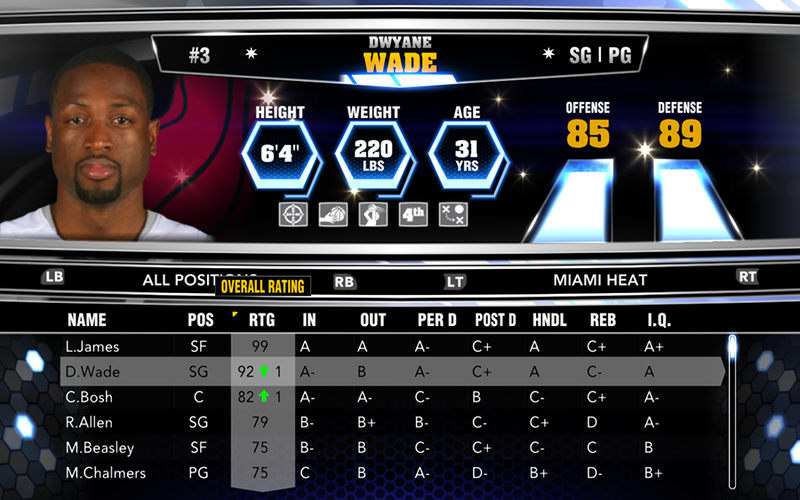 Just like the past updates, it only features fairly small edits to the player attributes, overall ratings, and team rotations. Continue on to see all the player ratings that were changed, both for the good and the bad. Players that received boosts are the following: Dwyane Wade (+1 to 92), Avery Bradley (+1 to 79), Giannis Antetokounmpo (+2 to 62), Cody Zeller (+1 to 69), Andre Drummond (+1 to 75), Francisco Garcia (+1 to 69), John Salmons (+1 to 73), Ronnie Price (+1 to 65), Patrick Patterson (+1 to 74), and Shelvin Mack (+1 to 66). Here are notable players who saw their ratings drop: Andrew Bogut (-1 to 77), O.J. Mayo (-1 to 81), Zaza Pachulia (-1 to 64), Markieff Morris (-1 to 68), J.J. Hickson (-1 to 76), Josh Harrellson (-1 to 56), and Tyshawn Taylor (-1 to 67). Unfortunately, we cannot track all the changes made to the attributes – but it appears that a lot of things have been modified. You can hit up the '2K Share' feature in the game to get this update. For PC users who are getting server error message or doesn't have their game connected online, you can install our offline patch to update your NBA 2K14. Links - 11/30/2013 Mega | Mediafire | Box | 4shared.